Karl Pärsimägi (May 11, 1902 Võrumaa – July 27, 1942 Oświêcim concentration camp), was an Estonian painter. 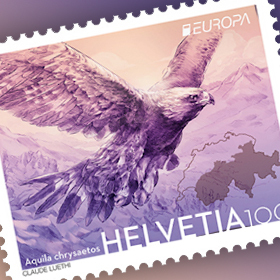 At the age of 17 he entered the Pallas art school. Initially he studied under the supervision of Konrad Mägi, then Nikolai Triik and later Ado Vabbe. In spring 1923 and summer he made a study trip to Germany under the guidance of Anton Starkopf, In 1937 Pärsimägi went to Paris. Despite economic difficulties the artist worked strenuously and presented his first summary at the Tallinn Art House at the so-called six artists’ exhibition in 1939. 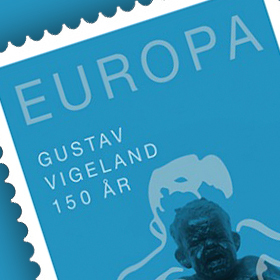 Despite attempts to return to his native country the artist remained in the way of events of 1941. After the occupation of France, he was put in the Drancy concentration camp and from there on to Oświêcim, where he died in 1942. 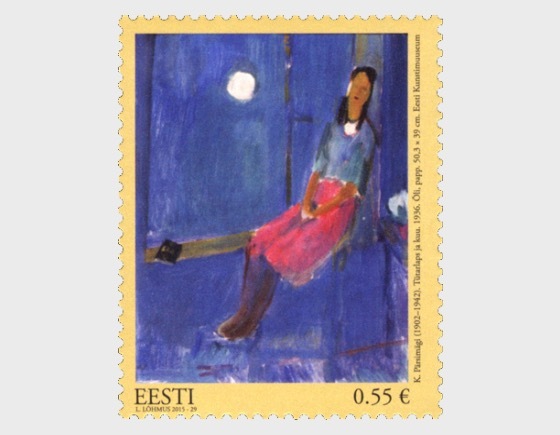 The stamp dedicated to Karl Pärsimägi has his oil painting “A Girl and the Moon” depicted on it.